Designer Pauline Deltour impressed Alessi founder Alberto Alessi with the effective appearance of classic furnishing items such as the coat stand Pierrot. 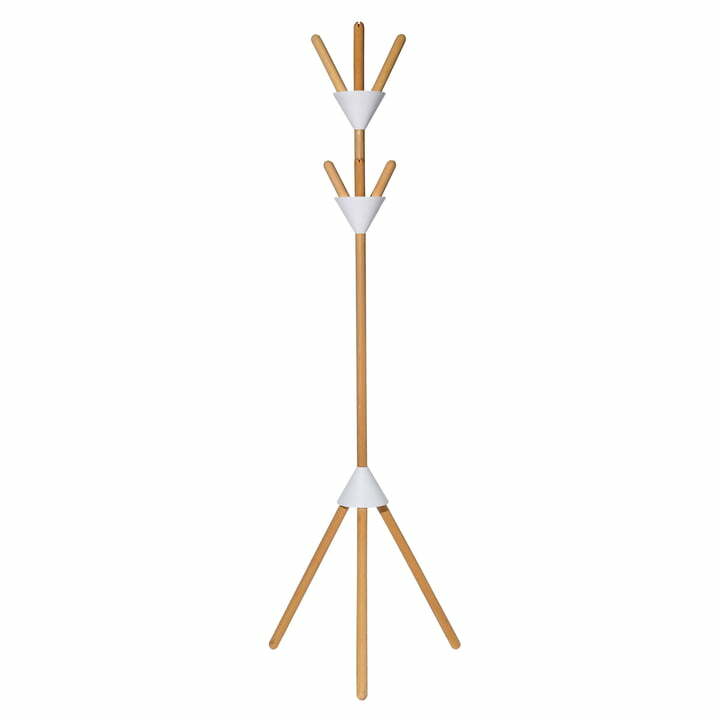 Thanks to the tripod structure, the Pierrot clothes rack is stable despite of the weightless and linear design. The Pierrot coat rack is easy to assemble. The white collar at the stand encloses six hooks, each capable of holding 5 kg. 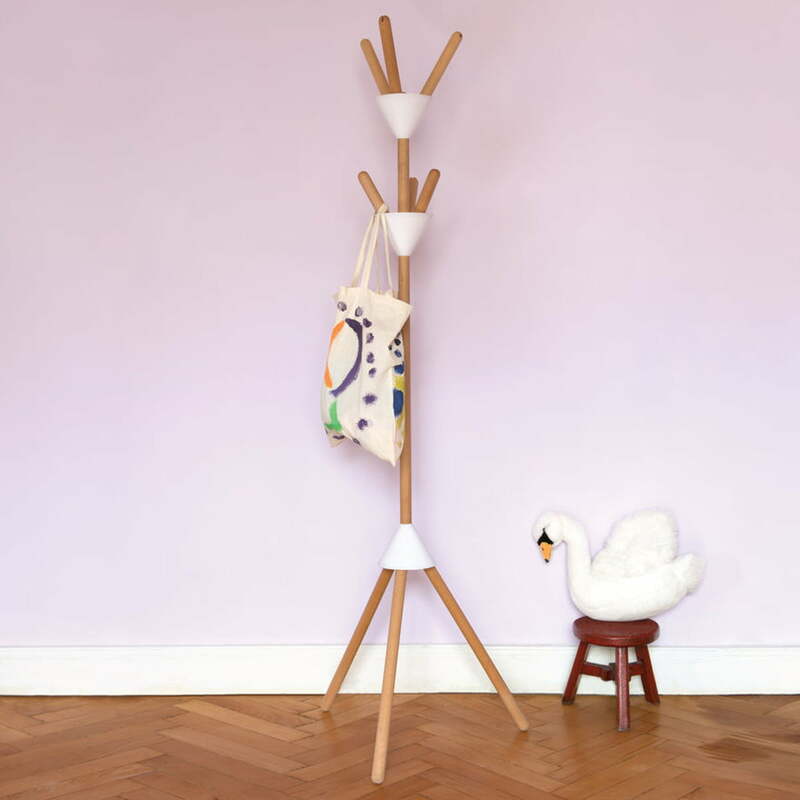 The name of the coat stand comes from the theater figure of the Pierrot, whose characteristic white collar inspired the design by Pauline Deltour. 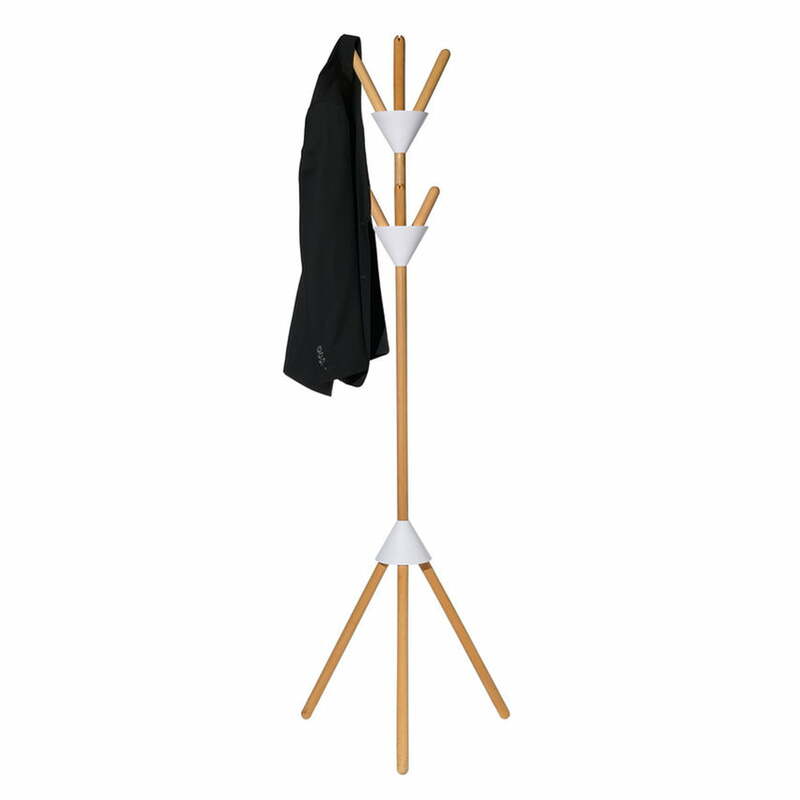 The beech wood Pierrot Coat Stand is available in two colors.